Ashton Virgin Sun Grown (or VSG) is a central blend in the acclaimed Ashton portfolio. 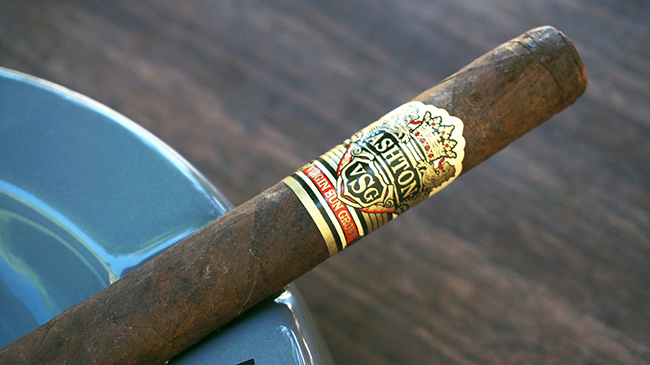 For more than 30 years, the Ashton brand has been a favorite among lovers of premium, handcrafted cigars. VSG debuted in 1999 and is renowned for a smooth, but potent profile of aged Dominican tobaccos beneath a succulent Ecuador Sumatra wrapper leaf. 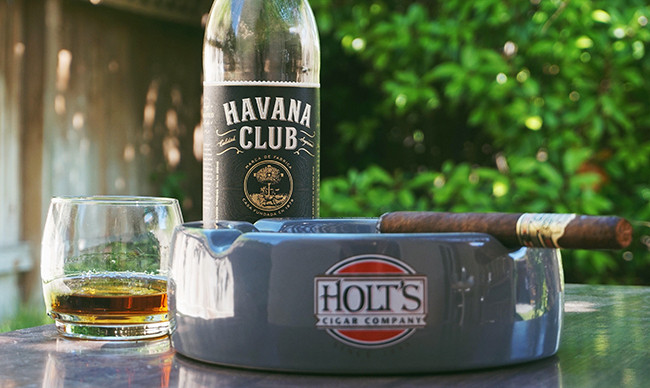 Holt’s Cigar Company hosts a phenomenal selection of cigars online, perfect for any cigar lover looking to purchase and taste every available variety of Ashton VSG. As I fired up the blend, an enticing profile of cedar, espresso and dark chocolate showered my palate with creamy Dominican spices and a luscious complexity. Ashton cigars are blended and handcrafted by the legendary Fuente family in the Dominican Republic. The family’s patient aging of select tobaccos truly distinguishes VSG with iconic flavor. I was particularly drawn to the cigar’s format, a VSG Illusion, which is 6 ½ (inches) by a 44-ring-gauge (thickness). The long, somewhat slender shape provides ample room for savoring a wealth of tasteful transitions, from the beginning puffs down to the nub. I paired my cigar with a “new” rum from Bacardi: Havana Club Añejo. Although Havana Club has been around for quite some time when you consider its historic Cuban origins, Bacardi has introduced the blend to the U.S. by distilling it in Puerto Rico to work around the ongoing Cuban trade embargo. The rum’s natural sweetness merged elegantly with VSG’s creamy spices and bold, woody aromas. I highly recommend that fans of rum and cigars indulge in the luxurious combination presented by Bacardi and Ashton, a pair of classic, world-renowned brands. A supremely satisfying experience awaits! This entry was posted by admin in cigars and tagged ashton cigar, ashton virgin sun grown, ashton vsg, holt's cigar on June 1, 2017 .